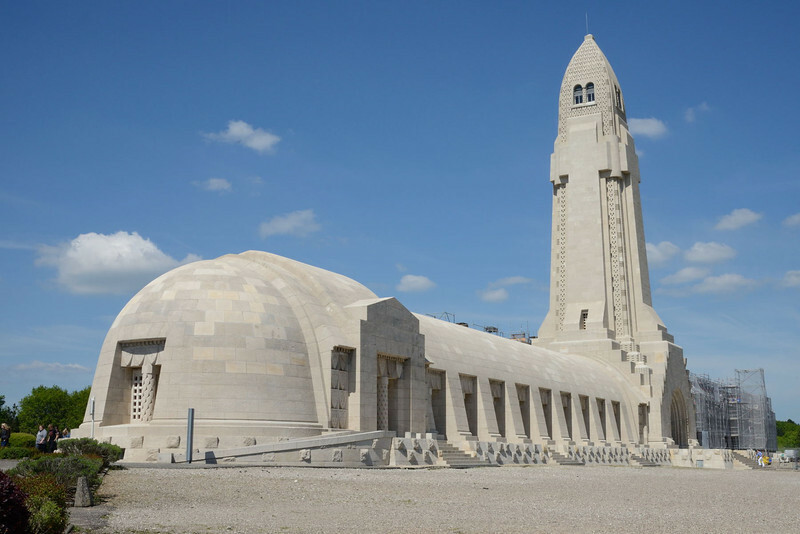 The Douaumont ossuary is a memorial containing the remains of at least 130,000 soldiers who died on the battlefield during the Battle of Verdun in World War I. During the 300 days of the Battle of Verdun (21 February 1916 – 19 December 1916) approximately 230,000 men died out of a total of 700,000 casualties (dead, wounded and missing). These photographs were taken during a visit to Verdun in May 2013. The Douaumont ossuary viewed from the south.